You may not know what a glottal stop is, but you’ve probably heard one. Already baffled? Let me explain. Ever talk to someone from London who pronounced butter something like “bu’uh?” With the t becoming a kind of “grunt?” The t sound for said Londoner was a glottal stop, a sound created by closing the glottis (a small opening in the larynx), then releasing it in a burst of air. This glottal t can be found in Cockney and many other UK accents such as those in Scotland, Manchester, and Bristol. For a good example of this sound, take a look at the interview below, between Craig Ferguson (Scottish), and Russell Brand (from London). Between the two of them, there’s a slew of glottal t‘s. Or, really, you can search for any well known Cockney in YouTube and find many more. Glottal stopping has even made inroads into America as well. In Central Connecticut, glottal t has become quite common. It seems to be spreading rapidly among younger people in that area. African American Vernacular English also features the glottal stop, albeit in a different set of environments. So it’s a very common sound in various English accents. In drama school, however, I was told that glottal stopping was bad bad bad. My voice and speech teacher warned of the dangers of glottal stopping. “It can shred your voice,” he said. “It’s the worst thing you can do to your vocal cords.” In fact, he rarely referred to it as a glottal stop, but rather applied the scarier-sounding term, Glottal Attack. Yikes! A compromise is necessary if the accent has qualities in it that can damage the voice … certain constrictions naturally present in some accents, could produce vocal abuse; glottal attack, for instance. You could speculate that native speakers of these accents have adapted sufficiently not to suffer this abuse. Now I quite like Rodenburg, who I think is a brilliant teacher, but something is off about this statement. What is it about a glottal stop that is so “abusive?” And, frankly, begginning a sentence with “You could speculate…” is begging for some serious skepticism. I think Rodenburg is trying to avoid an obvious objection, which is, if glottal stop is so bad for your voice, then how come so many languages and dialects have the glottal stop? The sound is constantly used in Arabic, yet you don’t hear of mass laryngitis sweeping across the Middle East. You don’t hear of a terrifying epidemic of hoarseness descending upon East London. What gives? If one wishes to be a speaker of elegant English, then one has to avoid glottal stops. The so-called language professionals may disagree and start waxing eloquent about linguistic diversity. I am all for healthy diversity, NOT unhealthy ones, not one that allows incorrect and poor English to run rampant. One can almost smell the whiff of Twinings wafting from the Edwardian drawing room, can’t one? But enough of this tangent. What I want to know is if there is any actual, scientific evidence that the glottal stop is bad for your voice. I won’t totally discount this theory, but I can’t help but feel like the evidence suggests the contrary. Does the glottal stop actually harm the voice? Or is this just a linguistic urban legend? This entry was posted in English Phonetics and tagged celebrity accents, class and accent, Cockney, phonetics, stigmatized accents. Bookmark the permalink. 47 Responses to Is the glottal stop bad for you? Oh come, come, it’s made HUGE inroads in even prestige North American accents. I constantly hear things like [fãʊ̃ʔn̥] for “fountain” from NPR newsreaders. Is that really a glottal stop you’re hearing or is it something else? I agree that it isn’t [t] or [ɾ], but are there other possibilities? As I mentioned, I think dw is correct about that particular word. It’s one of those quirks of American English phonology that I didn’t know until somebody pointed it out to me, and I realized, oh, wait, I DO say it like that! Oh I’m definitely not disputing that the /t/ in words like fountain has a different pronunciation than it would normally have in many American accents (it does in my own speech actually). I just wanted to know if this sound was actually a glottal stop or something else. I just never thought that I knew how to make a real glottal stop. It’s true! That’s actually a feature of Australian English as well. Not sure why Northern Americans like myself use to the glottal stop. [Replying to trawicks above: the blogging software won’t let me reply to him directly]. Alveolar stop with alveolar release into a schwa. This is pretty much how I (near-RP in this respect) pronounce “fountain” — well it’s actually how I would pronounce “fountain” if I had merged weak vowels, and how I do pronounced a similar word that has schwa (in my dialect), such as “sentence”. Still an alveolar stop, but with nasal release into a syllabic nasal. I might pronounce “sentence” this way in rapid speech. I feel this is actually fairly difficult to articulate because of the [t] surrounded by nasals on both sides. This is a fairly natural development from (2). The velar activity of the nasally released stop in (2) is backed to glottal position. Before nasals, most northern American accents pronounce ‘t’ as a glottal stop (or at least there’s some amount of “glottal reinforcement”). What makes the Central Connecticut accent different is that [ʔ] has moved into the territory traditionally dominated by [ɾ]–namely, intervocalic t’s that are NOT prenasal. For example whereas in General American “bottle” would be [bɑɾɫ], someone from New Britain, CT, might say [baʔɫ]. I believe this is happening in a number of other Northern accents as well. For what it’s worth, you can read a bit about it inthis article in the NYTimes from a few years back. It’s written in purely layman’s terms, but is still fairly interesting. I live in the South now and something I noticed when I first moved here is that they pronounce the first “t” in important (and probably in similar words) as [ɾ], which sounded unusual to me when I first heard it. I’m from New Britain and I’ve never heard anyone say “bottle” with a glottal stop. I actually should state that I cannot personally confirm that (despite growing up nearby!) I’m mostly going off things I’ve read (such as that Times article above). It’s also worth noting that such pronunciations are probably only found in people with extreme variants of that accent. BTW, I think glottal t’s can be found elsewhere in the northern US. I’m guessing more people talk about it in relation to Central CT because surrounding accents (New York City, Rhode Island, Boston, and even other areas of CT) tend not to have this feature. Central CT, by the way, is a bit unusual in that the accent there slightly resembles Great Lakes accents like those found in Detroit or Buffalo, although not nearly as strong. I grew up about 45 minutes away (around Willimantic), and I noticed some different pronunciations when I met people from the Hartford area. It’s an interesting little dialect pocket that, alas, precious little is written about. Haha, I didn’t know it was so specific. I have noticed I do use a lot of glottal stops, but I didn’t realize it was a Central CT thing. Cool. Oh, and “important” is im.por.ʔnt for me, sometimes without the t on the end. The interesting thing about glottalling is that it always seems to be discussed in the context of T-glottalling and its stigmatisation, which is what this article is mainly about. But in fact it’s a major feature of the speech of many high-status RP speakers, doubtless including many of those who disapprove so strongly of “the glottal stop”. Whether in a conscious attempt to avoid “intrusive” linking r (eg “Africa-r-and Asia”), or perhaps influenced by American English, many British speakers seem to start all vowels with a glottal stop, sometimes making English sound almost like German. We’re also seeing the decline of the traditional strong forms of words like “the” and “to”, and even the word “an”, before a vowel, with forms like “a ?old man” (?=glottal) replacing “an old man” in the speech of some younger Brits. OK, that’s the young and groovy, but as I say, glottal stops in prevocalic contexts are massively common, and not especially new, in the speech of establishment figures. Just listen to the Queen. Actually, Harry, that’s a good rebuttal to Rodenburg’s statement above. Her quote is in reference to adopting accents other than your own. I believe she’s implying that because many of us don’t have “glottal t” in our own accents, we haven’t adjusted to it (I’m aware of the vagaries of the words “us” and “adjusted,” but, well, the original quote is rather vague). But as you say, most of us actually DO use a glottal stop in our own accents, so it isn’t a foreign phone at all. I (approximately near-RP) have glottal stops as an optional realization of /t/ in nonprevocalic position, especially in rapid conversation. However, because of the nonprevocalic position, the glottal is always unreleased. I don’t think I ever have a released glottal stop in my normal speech. I have a feeling that much of the (to my mind miguided) stigma directed at glottals applies to released glottal stops, especially before phonetic vowels, as in Cockney [ˈbɐʔə] for “butter”. I don’t think I ever have a released glottal stop in my normal speech. This is overbroad, of course. I can use a glottal before a vowel-initial word for emphasis. And there are special lexical items like “uh-oh”, “hawai’i”, etc. Am from NJ originally, and our state capital is definitely [ʊ̃trenʔn] or even [treʊ̃ʔn]. Didn’t have much occasion to refer to the place during college “abroad,” and so when I returned I used the GA pronunciation [with “t” and full schwa] and was promptly mocked for it. IPAs didn’t come out quite right there (ʊ̃ʊ should not appear in any of the three examples), sorry! I wouldn’t be surprised if the feature is common in parts of Jersey as well. North Jersey, once you get outside of the area immediately beside New York, sounds a bit more pronouncedly “Northern” to me. I’m from Springfield, Mass (15 minutes from north/central CT) and say mi’en (for mitten) and ki’en (for kitten — and I don’t have that fancy IPA font some of you peeps have), but I would never, ever say bo’le (for bottle) or li’le (for little). They’re boddel and liddel for me. Like budder (butter) or fidding room (fitting room). This isn’t scientific proof, but I’ve been stopping my glottis on kitten and mitten (and impor’an’) for 40+ years and my pipes are fine. Yeah, I’m beginning to wonder if the speech pathologist was overreaching a tad with the “bo’le” thing. I’ve never heard that degree of t-glottaling in somebody from the region, but perhaps I haven’t heard the strongest accents. Besides, everyone knows it’s the voiced velar fricative that corrupts the young. Haha, trust me, I find this claim as bizarre as anybody else. It’s one of those urban legends some surprisingly rational people believe. But I’ve yet to see any actual evidence, anywhere, to suggest the glottal stop can actually harm your voice. Most voice and speech teachers do indeed recognize that glottal stops per se are not dangerous to the human voice. Certainly dialect coaches recognize the glory in diversity of speech. As a native of New York City I frequently use the glottal stop in my every-day speech, and often add glottal reinforcement to un-released /t/. There is potential danger in a sort of hyper-produced glottal stop – overdoing anything physical can be dangerous (as can under-doing). Personally I feel that breathy voice and glottal fry pose more dangers to vocal folds, but I’d be the first to admit that I’m not expert in voice production. There is, even today, an aesthetic component to so-called “beautiful” or “good” speech in American theatre (and beyond) that does have its roots in linguistic class prejudice. But there is also a place for speech and singing that minimize glottal interruption of breath and voice flow. I think it’s important to understand not only what you are doing but why. Sorry for replying so late (I’ve been dealing with a serious server outage). Thanks for the comment–I really welcome what professionals have to say about stuff like this. I think you make a good point that any sound can be damaging to your voice in some respects. I generally believe that a person’s speech evolves based on his or her surroundings, and vocal damage occurs when a particular dialect or idiolect is brought out of its “comfort zone,” so to speak. For example, many Americans have moved to the suburbs over the past sixty years, and I think this has had a huge effect on our speech. Because suburbanites spend so much time indoors, the actual need to support the voice (so as to be heard) has diminished. Most vocal coaches treat an “unsupported voice” as the nadir of bad vocal habits, and yet there’s nothing inherently wrong with people who talk without support: their voices have simply evolved that way in response to their circumstances. The trick with all vocal “correction” is eschewing presciptivism for something more like “code-switching:” speaking in different ways depending on context. My whole issue with glottal stopping, though, is that I don’t think it’s an unusually dangerous sound in ANY context. There are, I think, stylistic reasons to avoid it (for example, in Opera). But I think it’s just a sound like any other, albeit one with a history of class tensions. Most vocal coaches treat an “unsupported voice” as the nadir of bad vocal habits, and yet there’s nothing inherently wrong with people who talk without support: their voices have simply evolved that way in response to their circumstances. Inherently wrong, no. “Wrong” is a word with moral judgement attached, and IMO has no place in a discussion of this king. But unhealthy, possibly – I’d say probably. People who speak without sufficient breath support may tend to get more “sore throats,” and eventually end up “losing” their voices by damaging their vocal folds. This applies to teachers, preachers, business speakers, and many others whom we may not think of as voice professionals. Your theory about the suburbs is interesting. Do you have backup for it? At first glance it doesn’t ring true to me, but I have no backup for that! I meant “kind,” not “king”! Accents I’m good at; typing, not so much. Alas, I have no particular evidence to back this up (the “I think” is deliberate). Just to be clear, I think unsupported speech can be very damaging. However, it seems logical to me that someone with a high incidence of this necessarily must have been exposed to an environment where it is less damaging–in particular, an environment where prolonged verbal communication is less important. My suburban hunch is just that–a hunch–but I’ve spent enough time in suburban or exurban environments (e.g. my childhood and adolescence!) that I’ve noticed a pronounced difference in the importance of speech when contrasted with urban speech. I’ve always been mystified by the [tn] problem. I never realised that I basically pronounce the [t] as a mere glottal stop in German (my native language) until university. But then, isn’t that perfectly natural, phonetically speaking? How is it even possible to pronounce something like fountain with a fully-sounded [t] instead of a glottal stop without inserting a schwa or some other vowel in between the stop and the homorganic (syllabic) nasal? As much as I strain myself, it just won’t work. Nasal release or not. I can’t pronounce a [t] before [n] because there is no way to release the stop, while it is certainly possible before [m]. I mean, I’ve still got the tongue in the [t] position, but the release of the stop is blocked by the transition to the nasal; basically I just open the nasal tract. I’m not sure if this is really a glottal stop, though. Perhaps it’s just a [t] with a nasal release. But then, inserting a glottal stop in between two [n] doesn’t seem possible, either, as either the stop or the nasals “want to” assimilate. Can anyone explain to me what’s happening here, phonetically? Is it just me lacking phonetic skills, or what? Until now, I thought I was fairly good at pronouncing esoteric sounds and combinations of sounds. How is it even possible to pronounce something like fountain with a fully-sounded [t] instead of a glottal stop without inserting a schwa or some other vowel in between the stop and the homorganic (syllabic) nasal? It’s not possible, assuming that by “fully-sounded [t]” you mean “[t] with alveolar release”. I’ve still got the tongue in the [t] position, but the release of the stop is blocked by the transition to the nasal; basically I just open the nasal tract. You are describing [t] with nasal release. If you want to be ultra-explicit, you could represent this in IPA as [tⁿn̥]. It is possible. For example, try sustaining a long hum on an [n] sound. Now, try doing the same thing, but periodically interrupting the sound by c losing and then reopening the glottis, without any other movement of the speech organs. You’re then producing the sequence [nːʔnːʔn:], which is exactly what you’re asking for (” inserting a glottal stop in between two [n]s”). Florian Blaschke, I’m not sure what you mean by a “fully-sounded [t]”, but if I say fount (or mount) without being hyper articulate, the tongue, in pronouncing the t, stays in it’s spot, and all I have to do to say fountain (or mountain) is keep it there and add nasal sound. That might not be a “fully-sounded [t]”, but it’s a normally sounded t.
On the other hand, if I want to hyperarticulate, or if I’m singing, I put a vowel between the t and the n.
Getting in on this a bit late, but just wanted to chip in my two cents. 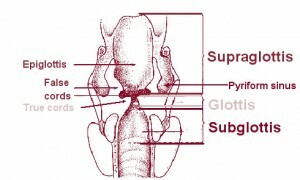 Some voice and speech teachers make a distinction between a glottal stop (or, more fully, stop-plosive) [ʔ] and “glottal attack.” The latter is a term I have only heard from voice and speech teachers, and has no precise phonetic meaning. I think the distinction is a useful one. 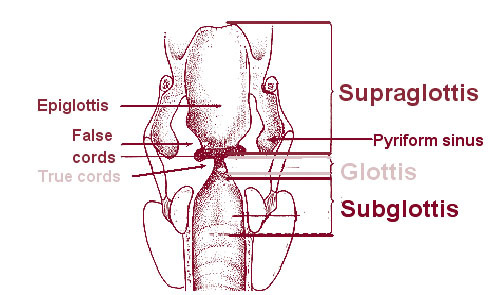 As Amy mentioned, the difference may be said to have something to do with the degree of force with which the glottis is whammed together (and perhaps also with the force of the release–the amount of pressure which is allowed to build up behind the closed glottis before it is released). Glottal stop: not necessarily forceful, can even be quite gentle, as in most German speakers’ vowel onsets. Glottal attack: very forceful, not phonemically necessary, and potentially harmful. I _do_ think that a strong glottal attack is not the best thing for one’s vocal folds, especially if one is using quite a lot of air in order to fill a large space, e.g. on stage. It’s also desirable for actors to learn how to avoid glottal onsets in vowel-initial words, as it helps with breath flow and connection and can reduce strain on the voice. But Ben is quite right to call into question Rodenburg’s (and others’) blithe dismissal of glottal stops, per se, as harmful. As has also been elucidated in this discussion, glottal stops are a regular feature of even the most refined RP or “educated” American accents, both in vowel-initial words and as substitutions or reinforcements (most commonly for post-vocalic, post-nasal, or word-final /t/). The received wisdom that they only appear in uneducated speech is simply wrong. HOWEVER, when actors who are not native speakers of, say, Cockney or MLE are attempting to learn these accents, there is a tendency to overdo the glottal stops–to use too much force, to hold them too long, to throw them in in places where they don’t belong. All sorts of mischief can ensue. So I think this is also part of what Rodenburg is getting at, however imprecise she was being. Thanks so much for commenting, Erik. I also love Patsy Rodenburg, who I personally credit with being a much more articulate human being. Her passages about accents are the part of her books that strike me as a bit outside her comfort zone. I should also mention that I think that voice/speech training has evolved by leaps and bounds over the past decade in terms of this kind of thing. I, alas, had a bit of an old-school Edith Skinner type of education, but I really don’t know about today’s generation of coaches. Although I’ve heard the work of the brilliant Dudley Knight is making a lot of inroads in training programs, which I find very exciting. You hit the nail on the head there. There are a great many rather huge differences between the older generations(s) of Skinnerian speech teachers and what a lot of people are trying to do now. And yes, there are many of us who are doing are best to change attitudes and practices in the field, and many institutions are re-examining how they teach speech. There are, alas, a good many Skinnerites left, many of them teaching at major institutions. Certain directors (though an ever-diminishing number) contineue to insist on Skinner’s “Good American Speech” for Shakespeare and other classical texts. As Dudley Knight has rightly pointed out, there’s nothing particularly “good” or even “American” about GAS, and it should therefore be done away with forthwith! For those who would like to follow up on this long-running and still continuing controversy, an article of Knight’s titled “Standards” can be found here: http://www.fitzmauricevoice.com/writings.htm. It’s an entertaining read, and a wonderful piece of scholarship to boot. There will also be an interesting article published in the Voice and Speech review this summer reporting on the results of a large, detailed survey of American speech teachers, which takes a sort of snapshot of current attitudes, practices & methodologies. I just wanted to say that I love your blog; I discovered it recently and every post is so interesting! I’m a teenager from the West Coast (Oregon) and I’ve noticed that I sometimes leave off the ts in words like better, but it’s less of a distinct pause than a blurring together of the syllables (it sounds more like “behr” than “be’er”). I seem to use it when I’m speaking very informally. I wonder if there is a specific term for this; is it considered a glottal stop? Again, I enjoy your blog so much. Keep the great posts coming! Thanks so much, Emilie! Not sure about how ‘t’ is pronounced in your neck of the woods. Although I’m moving to the Northwest in a few months, so I’m sure I’ll have plenty opportunity to investigate! Sources prefer the one you spoken concerning correct here can probably be very valuable to me! I will submit a link to it web web page on my blog. I am certain my company could find that very helpful. Big many thanks for the helpful info i discovered on Domain Information Anyway, in my vocabulary, there aren’t much good provide prefer it. Strange how Americans can say button very easily with a stopped t, yet incapable of all the other word like water, lighter, ghetto that should have the same stop. Remember when you say English accents, what you really mean is how English is spoken by English people. Please remember whose language it is. It’s mine, thanks. My ancestors brought it to you from Jutland about 1500 years ago. You’re welcome. How often one uses glottal stops when speaking really depends on company. Example, at school, I would say ‘important’ to a teacher, ‘importan” to a friend, and ‘impor’un” to my family. My regular speech is quite full of glottal stops- I pronounce ‘bottle’ as ‘bo’ul’, or ‘bo’uw’. This is likely a result of my English midlands dialect. Most of the people I know use regular glottal stops, but they can all speak ‘properly’ when they need to. This would suggest that the glottal stop is not detrimental to the voice or throat. As I tweeted to you a few weeks ago, I’ve been noticing glottal stop word-finally before a word-initial /h/, in words like “porthole” and “statehouse,” and in sequences like “hate how”. Since then, I’ve blogged about it.